Panda. Penguin. Hummingbird. No, I am not talking about an upcoming Pixar movie starring humorous wildlife characters, although I’m sure this would make an excellent kids movie. In this case, I’m referring to Google algorithm updates. The search engine giant frequently updates their algorithms intent on creating a more user-friendly search experience. This is good for those of us who use and trust Google to recommend websites based on our search habits. Each algorithm update took on different areas where search was involved. Each of these cleverly named updates have been dissected and discussed by the SEO community since the first Panda update hit in March of 2013 (we are now up to Panda 4.0). One of the more recent updates hit in late July 2014, and remains officially unnamed by its creators at this point. 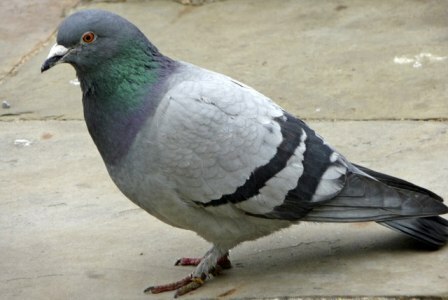 The SEO community, Search Engine Land specifically, has dubbed it Pigeon. What Does the Latest Google Algorithm Update Mean? While we’re still waiting for the dust to settle from the Pigeon droppings to get a clear view on its affect on search, one thing is clear – this update is aimed at local search parameters. One thing SEO professionals like me see are fewer amounts of local seven packs showing up in search results for certain queries. However, there seems to be an increase in local three packs. Also, it appears that directory listings are getting boosted in the rankings. These national directories, like Yelp and Angie’s List, took a hit recently and their rankings for local search started to drop. Yelp actually lobbied with Google for a change when they noticed a drop in traffic, which seems to have been noticed. Could the release of the Pigeon Google algorithm update be Google’s attempt to make things right with Yelp and the other major directories online? How Will Local Businesses be Affected? Local business owners need to be ready for a drop in their organic rankings for non-brand specific keywords. With the amount of local seven packs dropping, and directory sites getting boosted in the rankings, room at the top is beginning to be sparse. You will need to work harder to remain at the top of page one for the most important keywords for your business. Also, this would be the time to make sure you’re taking advantage of as many online directory listings as possible.